The reports and television clippings of Nithyananda in a compromising position with Tamil actress Ranjitha has created a furor. Several influential persons and stars who have been in touch with Nithyananda are now distancing themselves from the disgraced swamiji. 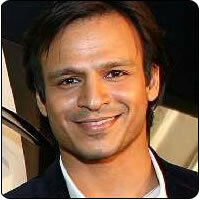 One such actor is Vivek Oberoi. The actor reported as saying that he is as confused as the others on seeing Nithyananda in a compromising position with the actress. Vivek had met Nithyananda a couple of times and has been his devotee since 2005. The actor has been in constant touch with Nithyananda through phone and SMS.